Any training program should look to cover all aspects of conditioning at some point in the year. The amount of each aspect needed will depend on the event or the person’s overall goals. Hill sprints are an easy way to really work the ATP-PC system without the need for any equipment. Maximal sprints on flat ground are another way of doing this but come with the associated risk of hamstring injuries that can come with hitting near top speeds. Hill sprints also have the added benefit of forcing you to run well! You can run fast on flat ground and simply do it in the same manner as you run slowly. This is pretty much how most people who haven’t been taught how to sprint will do them. You can’t do this quite so easily on a hill. The biggest flaw in most people’s running technique is that they swing their legs rather than lifting them. The movement of the thigh is dominated by TFL, illiopsoas and rectus femoris. There is some heel lift but nowhere near as much as we want to see. The hamstrings and hip flexors should work together to lift the leg. In essence, you should be simultaneously pulling up with both the hamstrings and the hip flexors with the net result being a cyclical action of the leg. The great thing about hill sprints is that they already have you working on aspects of running technique. 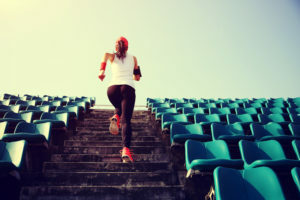 To run up the hill you are already going to be working at a higher cadence than normal and the act of running up the hill means you need to lift your knee higher in the first place. All of this makes it easier to add the final piece of the puzzle in of really pulling with the hamstrings. 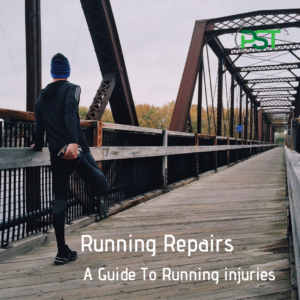 This will, over time, have an impact on your normal running if practiced regularly. Hill running also encourages you to dorsi flex the ankle, pull your foot upwards. This has benefits in the form of power generation and thus stride length. 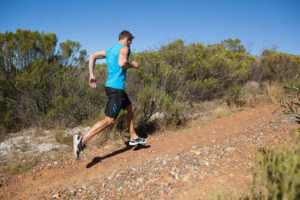 There are two ways to use hill sprints in your training. They can be used as purely a power drill where you perform a rep and then allow for full recovery. The other way is as a more aerobic drill where you don’t run at full speed, fast but not flat out, and don’t allow for a full recovery between reps.
ATP-PC supply the energy for these all out short burst of work and require a full recovery in order to allow for the ATP to be replaced. The recovery times for this work are approximately 10 times the work time. This means that your recovery times will be up to 150 seconds for the upper limit of purely ATP-PC work. To fully recover all you need to do is slowly walk back to the start line and keep an eye on the clock whilst you chat with your training partner. If you are using a more aerobic based approach then you need to cut the recovery down. There is no need to run back down to the start but the walk back is your recovery. As your level of conditioning improves you can look to jog back to the start line. The steepness of the hill is best when between 5-10% gradient, your garmin or similar watch it will tell you this. This is steep enough to provide a challenge but not so steep you can’t generate a bit of speed. How often? This depends on how often you are running or doing conditioning work. If you are running a couple of times a week it might be once a fortnight or even three weeks. If you are running more it might be once a week and you alternate between the flat-out sprints with full recovery one week and the more aerobic version the next. It really depends on your goals. 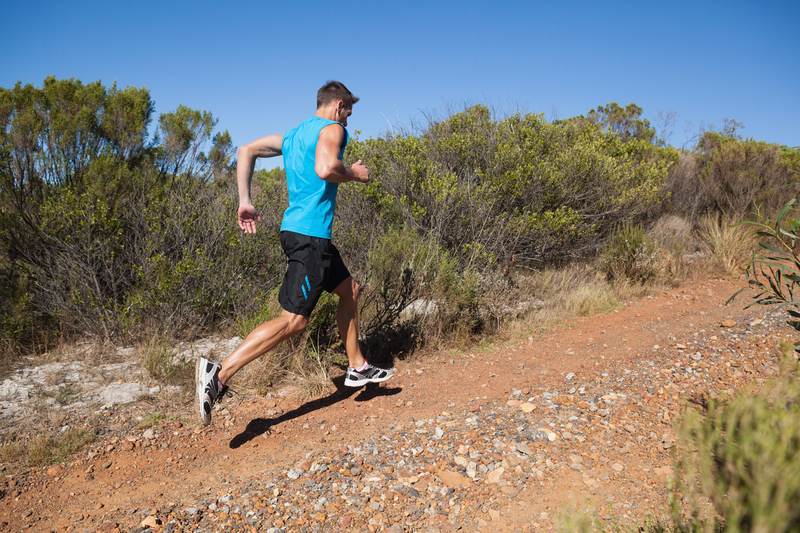 Marathon training will mean your hill work is going to be done for much longer intervals. This would be more specific to your needs and 90% of the time you’ll do more 500m – 1000m type intervals with the very occasional short session of a speed endurance style. If your goal is to be in good general condition and capable of performing well at different distances then it is about creating a program that matches that goal. You would be looking to include everything from LSD training to the type of work that hill sprints provide. This will mean that you are going to need to work on a 14 day training week to ensure that you cover all the areas. Trying to squeeze the various styles of training into 7 days will be very difficult.